Learn all about 15 and 16-Gauge Finish nailer feature, price and comparison and how to find one that best for you. Find out best brad nailer in the market. Our brad nailer review and buying guide breakdown brad nail gun feature, specs and ratings to make you understand and help to choose one that best for you. Nail guns are powerful hand tool help finishing your professional or DIY project faster. Nail guns are convenient time-saving power tool, prevent inaccurate hammer targeting main reason of smashed-finger and drive more nail accurately on wood and other kind of material surface at faster rate. Know more about nail gun, check out ultimate nail gun buying guide to learn more. Our goal is to provide best nail gun buying guide and complete nail gun reviews, find proper information on various kinds of nail guns and best suited nail gun for your project. Selecting best nail gun for your project and nailing requirement depend on what kind of project you are into, type of wood you are planning to use (i.e. chemical processed wood, hardwood, and wood thickness), project size and location, budget, estimated project completion time, safety issue and other influencing factors concerning your project. 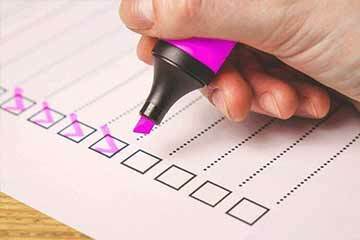 We spent a lot of time studying reviews and industry related blog by professionals with years of experience in construction, woodworking, DIY, and the power tool industry to gather and organize all information provided here. Combine your answer on your project with our ultimate nail gun buying guide and nail gun reviews to pick right nail gun for you. Let’s say you like to buy a lawnmower, whatever your choice maybe for a lawnmower based on brand, model or specification all do the same thing, cut grass. If we apply same principal for a nail gun then its primary purpose is to drive nail into the work surface (wood or some kind material surface). So you can just buy anything that say nail gun. Unfortunately it is not that simple. Nail gun were first developed to speed up aircraft manufacturing process and subsequently introduced into the market in 1950 for commercial and household use. Market demand and persistent development in power tool for woodworking and construction paved way for different type of nail guns based on usage. There are as many as eight distinctive type of nail gun available right now. It will be a herculean task for you to find best nail gun for you. We like to help you to find one. Easy way of grouping these eight nail gun into few category is to understand what each nail gun is used for and overlapping function that enable them to do same thing using different nailer. Most common is Finish nailer, that can be essentially used for any fastening job either professional or DIYer. Brad and Pinners are also Finish nailer that use small gauge fastener for delicate trim work not possible with large 15 or 16-Gauge Finish nailer. There are purpose build nailer such as Framing nailer for large homebuilding and construction project, Roofing nailer for nail shingles and insulation board installation, Siding nailer for siding and sheathing installation and Flooring nailer for hardwood and exotic floor fitting. Finally Palm nail gun for specialized fastening job that no other nail gun can do. We dedicated our research to summarize nail gun feature and specification from where you will find nail guns details to understand specific functionality to match your project need. Already know your nail gun then jump to particular nail gun section for more information. You may also take a quick view of following chart to get an idea of nail gun usage in woodworking and project consideration. As you learn more from our nail gun buying guide and reviews you will get familiarize with Nail Gun Power Sources, Nailer Firing Method, Key Features to consider. You can navigate to these sections by clicking corresponding links. Window & Door Casing, Paneling, Baseboard, Staircases, Cabinetry and Chair Rails. Crown, Base, Cap & Shoe Molding. Interior & exterior Finish and Trim. Finish nailers the real anchors of the pneumatic-trim-nailer family may look similar to brad nailer to the untrained eye, but in reality utilized in different purpose. Finish nailer help professional carpenter in large, bulk wood trimming. It run 15 or 16 gauge nailer larger than a brad nailer giving them better holding strength. Nailer firing capacity up to 2-1/2 inches long make Finish nailer most versatile power tool for interior carpentry. 16-gauge nailer is the most popular Finish nailer for its application in various woodworking. However 15-gauge nailer feature collated at an angle, allows the nose of the nailer to reach into tighter spaces. Bad thing is you need putty to conceal appearances as nails are thicker in cross section leaving big hole. There is also possibility of splitting trim and forming imperfection if used on thin surface. 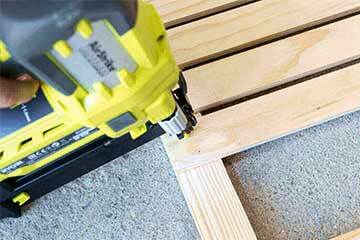 A 16-gauge nailer can serve your small projects and big project. Taking on large project like home remodeling, making furniture and upholstery, but you really can’t decide which to choose, consider getting both Finish and Brad nailer at your disposal. 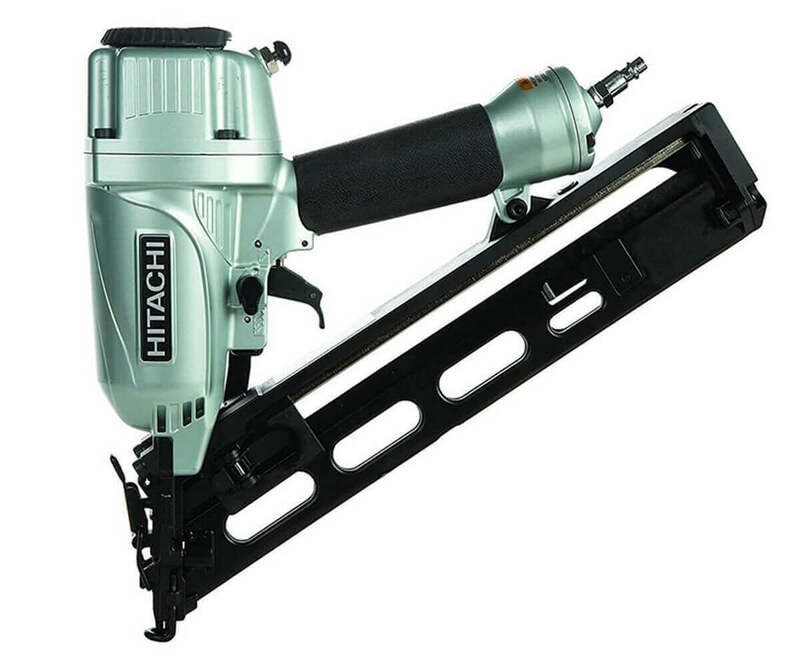 The NT65MA4 15-gauge angle air-powered finish nailer integrate Hitachi’s new industrial design for durable, reliable and effective installation of crown and base moldings, window and door casings, chair rails, cabinets, exterior trim and staircases. Hitachi NT65MA4 magazine can hold 100 nails and accepts 15-gauge 34-degree angle finish nails from 1-1/4 inch to 2-1/2 inch in length for use on a wide variety of projects. It works on minimum 70 psi to maximum 120 psi air pressure. Hitachi build NT65MA4 housing with lightweight aluminum for durability. Equipped with easy clear nose, tool-less adjustable depth of drive, 360-degree fully adjustable exhaust and selective actuation (sequential or contact trigger) for reduce downtime and offer convenience to the user. Coolest part of this nailer is the unique integrated air duster for clearing debris from the work surface where you need to place the nail by simply pressing the button quick and easy. 34-degree angled magazine with rear loading allows NT65MA4 to fit in tight corners and awkward spaces with ease. Tool-less, easy to clear nose ensure quick nail extraction if a nail jam during use. 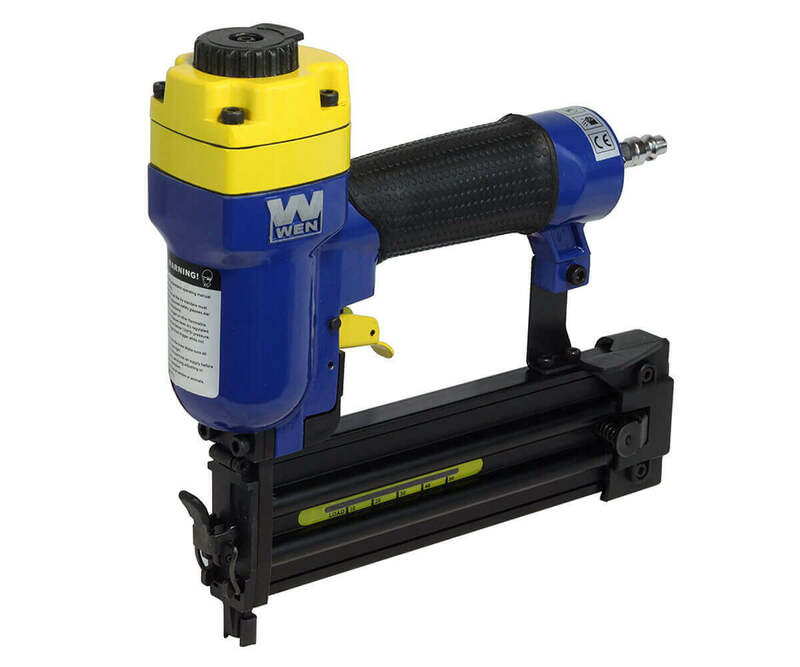 This finish nailer has tool-free depth adjustment for simplicity and flexibility when fastening various types of wood and also feature a removable no-mar tip to protects delicate work piece from damage. Hitachi hit the sweet spot for finish nailer by blending useful feature, attractive package that include safety glasses, a no-mar tip, a handy carrying case with five year warranty and a reasonable price.Hitachi NT65MA4 Angled Finish nailer even made a loyal customer base among other finish nailer brand user. Most customer declared Hitachi NT65MA4 is the best finish nailer in their review with very few bad review. Innovative Hitachi delivered many firsts and a leader in research and development in power tool industry. Looking for a quality finish nailer with user friendly design and feature at a bargain price then NT65MA4 Angled Finish Nailer will be definitely on the top of your list. Choosing a right finish nailer is bit tricky as 15-gauge and 16-gauge finish nailer have quite a bit of overlap in terms of application and are commonly used for installing baseboard, chair rail, door and window casing, crown molding, door frames, and other finish nailing work. We found NuMax SFN64 16-Guage Straight Finish Nailer build, feature, specification and package and warranty make them a perfect choice for budget finish nailer. Click here to know more. Ideal for installing crown and base moldings, window and door casings, chair rails, cabinets, exterior trim and staircases. Its compact body and 34-degree angled magazine with rear loading fit in tight corners and awkward spaces with ease. Integrated air duster clears debris from the work site allowing for faster and cleaner job completion. It accepts finish nails from 5/8 in. in length up to 2 in. Brad nailers are designed to drive 18 high-gauge fine wire nails required for the finest, most delicate woodworking project, making them a good choice for stop and cove moldings or baseboard shoe molding and small craft work. Driving extremely small nails with hammer requires tremendous physical effort and may not achieve desired wood crafting. Brad nailer is your perfect tool when you are engaged in home renovation, smaller project like crafting dollhouse for kids or furniture upholstery. Good thing is Brad nailer give nice finish on wood, you might need little or no carpenter putty to conceal appearances as nails are thinner in cross section, they leave a smaller hole and are less likely to split narrow trim and molding. Brads support nails ranging from 5/8-inch up to 1-1/2 inches in length depending on different manufacturer models. Downside is unlike other fasteners Brad nails have less holding strength inadequate for larger, heavier projects, like large crown molding or baseboards. Brad nailer capacity to handle light trim work and requirement of less touch-up after installation is your best choice. 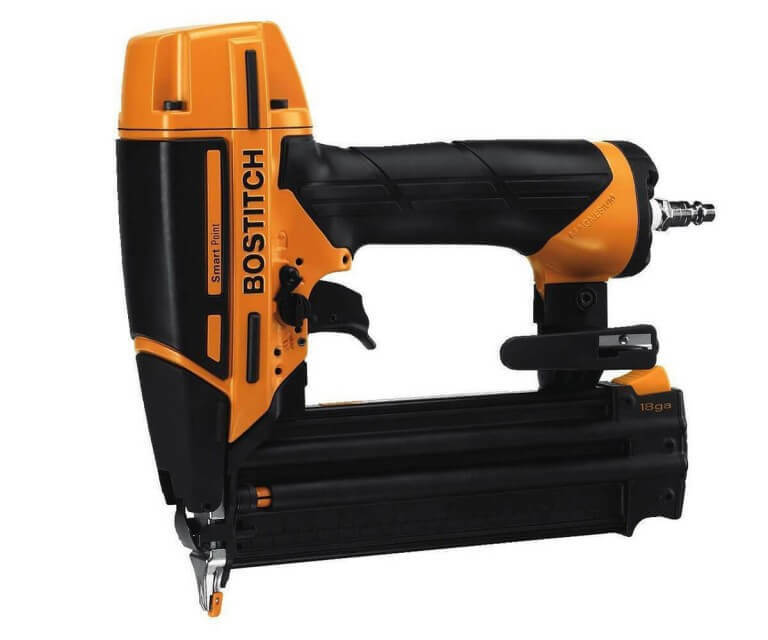 We present you Bostitch Smart Point technology 18-gauge brad nailer model BTFP12233 for cabinetry, upholstery, paneling, interior trim, baseboards, door & window casings, furniture and kitchen crown molding work. BTFP12233 oil free design pneumatic brad nail gun work at 70-120 psi air pressure with magazine capacity of 100 nails ranging from 5/8-inch to 2-1/8 inches (15mm to 55mm) in length. It support BT13XX Series brad nails. Brad is all about accurate nailing on delicate surface with less touchup afterwards and Bostitch Smart Point technology make it true for carpenters and DIYer. Innovative micro-nose design eliminates the need to compress contact trip against the work surface to actuate the nailer, smaller nose provide improved visibility to the user and allow easy nail placement even into narrow and tight spaces with an 60% smaller nose footprint to reduce work surface damage. 3.1 lbs. light weight body use magnesium housing to achieve durability of aluminum with over molded comfort handle for secure grip. The selectable trigger system allows sequential or contact operation with trigger lockout feature for added safety control. BTFP12233 user friendly design includes a tool-free jam release mechanism (open drive channel architecture) for easy nail removal without using an Allen wrench and a depth of drive adjustment dialer [Dial-A-Depth™] conveniently located under the trigger for precise countersinking of nails. Bostitch also equipped 1/4-inch air fittings with swivel air connector to prevent air hose getting twisted while roaming around work site, a rear air exhaust, and adjustable belt hook for easy carrying with an integrated pencil sharpener for convenience. Bostitch Smart Point indeed a smart nailer considering overall feature and technology integrated into one small piece of power tool. To sweeten the deal Bostitch giving seven year limited warranty and added 1/4″ Air Fitting, Sample Fasteners, Carrying Case, Extra No-Mar Tips and Owner’s manual with the package. BTFP12233 received mixed customer review with more satisfied user. Comparing different brands price, feature and package offering we found Bostitch Smart Point has great price advantage over other brands. Our choice for budget brad nailer is 2.2 lbs. lightweight aluminum body Hitachi NT50AE2 18-Gauge 5/8-Inch to 2-Inch Brad Nailer with dual firing option for precise or continuous driving, tool-less depth-of-drive adjustment, 360-degree adjustable exhaust and package that include five years limited warranty, safety glasses, nose cap (mounted on tool), and protective case. Check price here. Designed for accurate nail positioning and depth BOSTITCH BTFP12233 Smart Point has no match. Smart Point® 18-Gauge nailer can drive 5/8 in. to 2-1/8 in. brad nails is ideal for cabinetry, upholstery, and paneling require working in tight spaces and corners. Contact or sequential trigger, tool-free jam release and oil-free operation make it equally suitable for both novice woodworkers and professional tradesmen alike. Other features include a 1/4 in. air fitting, rear air exhaust and a belt hook with an integrated pencil sharpener for easy accessibility. Pin nailers use very tiny 23-guage fastener ideal for attaching delicate trim, fastening small, and stain-grade moldings that Brad nailer cannot handle without splitting. Pin nailers available in headless and slight headed version are handy nailer as it require very little or no putty for concealment. Tiny nail used in Pin nailer are extremely thin, comes with barely noticeable head or no head at all is small enough to vanish under a coat of paint. However it offer very little strength to hold delicate trim or thin wood with the surface. Better use glue before fastening with Pinners. You will find most of the pinner model accept headless pin nails and some model support both type nails. Slight headed pins have more holding power than headless pins that will help your delicate trim to be firmly griped with the surface. You will also notice most pneumatic Pinners depth adjustment is controlled by pressure of air supply and some model provide high/low switch to adjust depth of drive. Delicate trim pieces and molding not suitable for Brad nailer. Professional woodworker, DIYer or craftsman working with delicate trim work, molding, paneling, glazed bead or cabinetry details look for small fastener that nearly invisible after sinking. 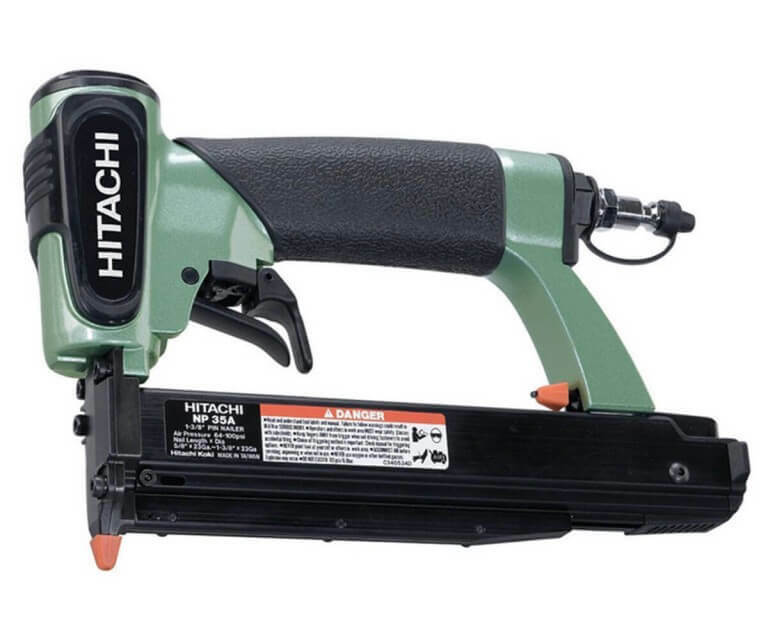 Hitachi NP35A Pin Nailer offers excellent solution for avoiding splitting delicate work piece to achieve fine finish and without spending time filling nail holes. It fires 23-Gauge headless pin with magazine capacity of 100 pins and works on 64-100 psi operating pressure. Hitachi designed NP35A pinner to be lightweight and compact for conveniently use on variety of trim work and cabinetry project. It’s magazine support range of fastener length that automatically adjust to 5/8, 3/4, 1, 1-3/16 and 1-3/8 inch pins and reload indicator gives low nail alert to avoid dry firing. NP35A comes with not one but two no-mar tips, one added at the base of the handle and another installed on the tool that protect delicate wood material from denting, marring or scratching. Dual trigger added for safety and accuracy in fastener placement with removable nose plate offer easy jam clearing. Depth of drive adjustment is possible by loosening two screws that secure the nose and move up and down using hex bar wrench for various wood type like hard and soft woods, exotic woods. Also need to adjust PSI pressure to get desired depth based on material density. Rear exhaust prevents any excess oil, dirt or debris hitting the user or damaging work surface. With Hitachi NP35A you not only get a feature rich pinner but also five year limited warranty and the package include a blow molded plastic case for convenient carrying and storage, safety glasses, no-mar tips and 3mm hex bar wrench. Users will find this pinner is quick and efficient that clamping is not required for properly joining multiple glued workpiece as NP35A generate enough pressure for various trim work. Also range of fasteners sizes it support is more than sufficient. In terms of price no other brand come close to Hitachi. We must say, we had hard times finding a budget pin nailer that we can suggest as an alternative to our pick. Our research suggest low priced pinner do not offer enough product build and feature to label them as budget pinners. Instead of budget model we recommend PORTER-CABLE PIN138 as alternative to Hitachi NP35A. PIN138 impressive design with durable aluminum body and magazine construction is ideal for cabinet makers, cabinet installers, furniture builders, and mantle builders. Convenient side loading magazine can hold 130 pin and have option for headless and slight head pin nails from 5/8-Inch to 1-3/8-Inch length. Like Hitachi magazine automatically adjust to different fastener length and a reload indicator alert user about low nail. Only pinner model that have dry fire lockout mechanism, prevent user from firing when there are no nail remaining in the tool that eliminate witness mark on work surface and narrow nose design offer better visibility and accurate nailing. PIN138 deliver maximum power in each shot that can easily counter-sink a 1-3/8-inch nail into hard materials, such as oak. Maintenance-free long life motor on Porter-Cable PIN138 ensure oil free operation. For user comfort and ease of use Porter Cable integrated rubber grip handle and a reversible belt hook that allows user to move with the tool conveniently. The Porter-Cable PIN138 pin nailer kit is backed by a three-year limited warranty, includes one year of free service and a ninety-day money back guarantee and nailer kit includes the PIN138 pin nailer, 2000 headless pin nails, one 1/4-inch plug with cap, one wrench for internal access, and one carrying case. The NP35A offers an excellent finishing solution for trim work or cabinetry with nearly invisible small fastener. Professional woodworker, homeowner or DIYer will find this nailer ideal for trim work, molding, cabinetry details, paneling, glazed bead and any fine finish application without spending time filling nail holes with putty and splitting delicate pieces of material. Compact design and lightweight, magazine auto adjusts to 5/8-in to 1-3/8 in. fastener lengths, removable nose plate for easy jam clearing, no mar tips, rear exhaust and a reload indicator to avoid dry firing. Framing nailers can handle large projects of building decks, constructing room additions or framing houses involving heavy duty work. Framing nailers are intended for quick, framing and construction projects. Best framing nailers can be used for nailing large pieces of material together and eliminate use of hammer saving time and money no matter whether you are DIYer, woodworker or professional contractor. Any type of wood including posts and beams can be nailed using tremendous powerful Framing nailers 2.8 mm nails. Next you need to consider your project completion time, location and power source. Select cordless nail gun typically fuel or battery powered for DIY or occasional project. A pneumatic nailer, powered by an air compressor more suits for high volume nailing requirement at short time. Depending on model framing nailers either use clipped head nails or roundhead nails. You may be interested to buy a clipped head nailer for faster reloading time instead of roundhead framing nailer. Please review local building code before making actual purchase as many building code bar clipped head nail usage in construction site. Smaller nail guns are designed for precision work, a framing nailers work best for quick projects requiring large nails. Whatever your choice pneumatic or cordless, framing nailers are best time and money saving power tool. 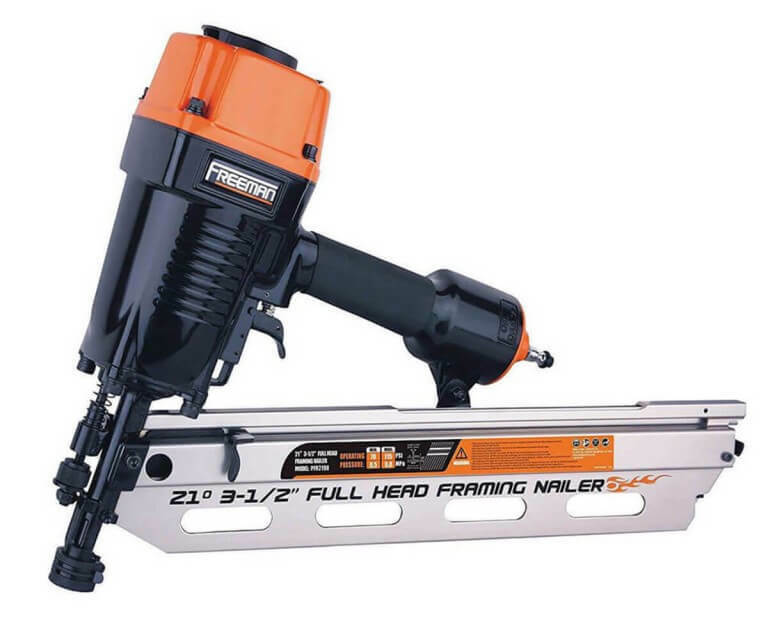 Freeman PFR2190 pneumatic framing nailer is ideal for wall framing, sub floors, roof decking and wood fencing. It uses 21-degree Freeman Plastic Collated Full-Head Framing Nails as well as compatible Hitachi, Dewalt, Porter Cable, Duo-Fast, Senco and generic brand plastic collated 21-degree full round head framing nails and can hold 55 pcs nails. Designed for heavy duty framing project it sport a magnesium constructed body for low weight and durability. Driver blade is constructed of very tough heat-treated one-piece hardened steel and anodized aluminum cylinder and magazine with oil-less Teflon o-rings ensure extended life. It shoots 21-degree full head nails ranging in size from 2 to 3-1/2 inches, and features an tool free depth adjustment with no-mar tip feature to protect your surface from dent to ensure professional finish. PFR2190 safety feature include a interchangeable triggers for single or contact firing and an ergonomic grip with anti-dry fire locking mechanism to stop firing if nails are low. It also has a 360-degree adjustable exhaust, air filter and anti-dust cap to keep internal part clean. Freeman PFR2190 stand out to be the best value framing nailer in the market for its seven year limited warranty and packaging that include safety goggles, hard plastic carrying case with other accessories that no other brand is offering right now. User review suggest it is easy to operate and give solid performance with one drawback of nailer stop firing when 2-3 nails still loaded. Freeman known for their impressive power tool full of feature and great product packaging. An excellent framing nail gun at a bargain price that promise same level of dependability of the most expensive gun in the market. Professionals and DIYer will find great value for money and best feature packed framing nail gun in Freeman PFR2190. However, you may choose Amazon Best Seller NuMax SFR2190 21-degree framing nailer instead of Freeman PFR2190 for framing projects. It offers most of the feature and nail gun construction but at less price. NuMax SFR2190 detail specification and comparison of top framing nailer can be found in Top Framing nailer section. 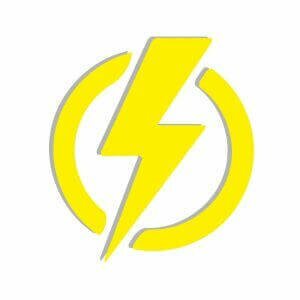 Check the latest price here. Equipped with many premium features Freeman PFR2190 21-degree full-head framing nailer can be used for variety of applications and great for homeowners and contractors alike. 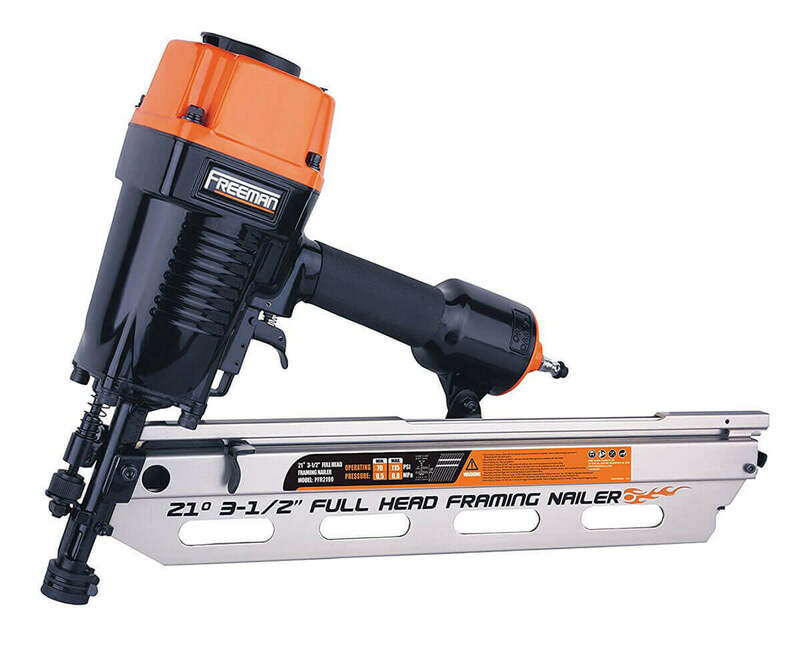 PFR2190 is made of die-cast magnesium for lightweight, tool-free depth adjustment and 360 Degree exhaust port, power to tackle any framing job using 2″ to 3-1/2″ nails and 7-year warranty is what you are looking for in a quality framing nailer. A Roofing nailer has an identical exterior like framing nailer but specifically designed to drive nails appropriate for most types of asphalt and fiberglass shingles, waterproof tar paper and insulation board. Major feature shared by different roofing nailer is to run coil nails. You do not need to climb off a rooftop to refill nailer’s magazine as coil roofing nailer can hold more nails. Its design also provide better tool’s ergonomics to help you easily move around on the roof. Nature of task performed by Roofing nailers classify it as a specialized nail gun that may not be essential tool for you, unless you are planning to do some roofing job. We pick Bostitch RN46-1 Coil Roofing Nailer as an ideal tool for your roofing, exterior drywall, insulation board, and fiber cement applications and great for shingle work on large areas with integrated, tool-less gauge to control shingle spacing. Incredibly powerful, the RN46-1 is capable of delivering 410 in./lbs. of force at 100 psi, can drive up to 100 nails per minute. This pneumatic coil roofing nailer best perform at 70-120 psi operating pressure. 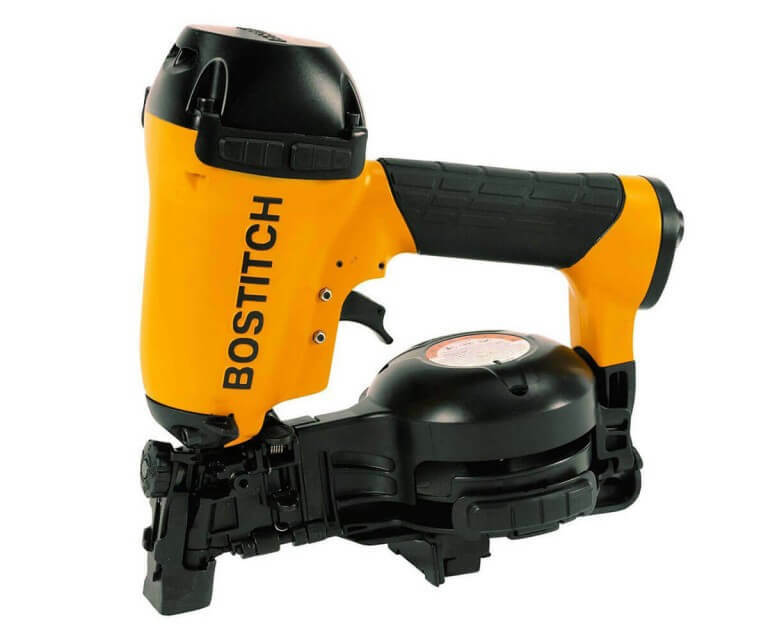 Bostitch constructed RN46-1 with tough aircraft grade lightweight aluminum, so it is easy to carry on your arms and durable yet lightweight magnesium housing and carbide tips give the nailer long life. Among lot of useful feature a zero nail lock-out feature to eliminates dry firing when magazine is empty and indicate when it is time to reload caught our eyes particularly. What’s more RN46-1 boast a patented single-action side-load canister for quick and easy nail loading by simply sliding the magazine door to open and load new coils and close magazine door. The RN46-1 high capacity magazine reduce downtime that holds up to 120 coil nails with a shank diameter of 0.120 and a length of 3/4 inch to 1-3/4 inch. With bouncing motion of contract trip firing user can drive up to 100 nails per minute and a tool-free depth of drive adjustment with its integrated depth dial give user the ability to find perfect driving depth by changing five different settings on the dial, including flush mount driving, shallow driving, and countersinking. Last but not least an over-molded grips provide best gripping in any weather condition with maximum comfort. Lightweight 5.8 pounds Bostitch RN46-1 coil roofing nailer is backed by a seven-year limited warranty and come with wear guards and skid pads that protect user from damage caused by working on rough surfaces. We found Bostitch RN46-1 coil roofing nailer is an essential tool for professional construction workers, builders, homeowners, roofers, and DIYer looking for long-lasting and aggressive performance from a coil nailer that feature a patented side-loading canister, zero nail lock-out, easy depth of drive adjustments. WEN 61782 is an ideal coil roofing nailer for nail shingles, insulation boards, waterproof tar paper, fiber cement roofing, siding and vinyl. This powerful yet affordable nailer need 70-120 psi operating pressure and can generate 430 in./lbs. of force at 100 psi, making sure your roofing stays in place. The WEN 61782 adjustable magazine designe accept 11-Gauge 7/8 to 1-3/4-inch coiled roofing nails and has capacity to hold 120 nails with a quick release for easily fixing jams. WEN 61782 has adjustable shingle guide similar to Bostitch RN46-1 that makes shingle spacing easy during job and a depth setting wheel on head of the nailer for depth of drive adjustment. For user comfort WEN added rubber grip handle while 360-degree adjustable exhaust keep output air away from workpiece and user. For sweetening the deal the 61782 is backed by one-year warranty and includes a blow molded carrying case for easy transportation, oil and hex wrenches. 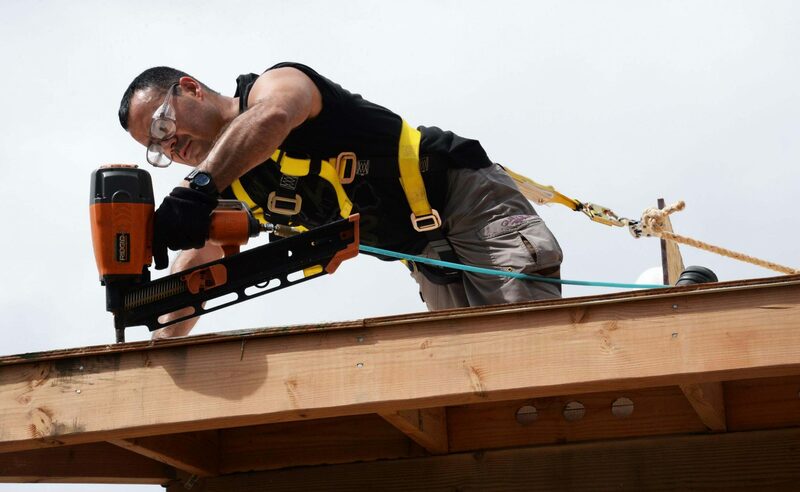 Bostitch patented side-loading canister, zero nail lock-out, tool-free depth of drive adjustments, and top of the line performance, the RN46-1 is built for professional construction workers, builders, roofers, and anyone looking for long-lasting performance from a coil nailer. Constructed of tough aircraft grade aluminum for comfort and durability, high-capacity quick-load magazine reduces downtime and backed by a seven-year limited warranty. Lightweight yet durable aircraft grade aluminum construction and magnesium housing. Can drive up to 100 nails per minute. Siding nailer as the name implies is designed to attach wood siding to the exterior of a house. You may get mixed information on using Framing nailer for your exterior wood siding job instead of Siding nailer as they shoot almost identical nails but outcome will be less desirable. As framing nailer designed for high impact framing for rough millwork and especially made to get into tight corners and to toenail with high impact velocity. When you are installing a siding you want to go upright and need light power tool. You may choose from 1-1.25 inches to 2-2.5 inches siding nails considering your project need. Some model even use aluminum nails for aluminum siding. Siding nailers are light weight and comes with adjustable trigger. By adjusting the depth of nail you can have uniform shot into your siding. Another great feature is it is protected in the front so if you are dealing with softer wood, you will not need touch up after nailing. Almost all siding nailers availbale in the market accept plastic-collated and wire-collated nails. Our study revealed wire-collation is more durable than plastic. Get more info on siding nailers read our top best siding nailers review. Soft siding material made of cedar and hard siding made of Oak. Makita AN611 1-1/4-Inch to 2-1/2-Inch Coil Siding Nailer offer a combination rugged construction and proven features to give best performance in siding installation. Ideal for installing fiber cement and wood shingle siding and other siding materials with great comfort. The AN611 accept 15 degree plastic and wire collated 1-1/4 inch to 2-1/2 inch nails (.080 – .099 shank diameter) with a magazine capacity of 300-400 nails. You can operate this nailer with 65 PSI air pressure and max air pressure is 120 PSI. With AN611 versatile design and construction, professional and DIYer are guaranteed to get best siding installation experience. Makita engineered AN611 for increased user control and convenience added 3-mode selector switch (contact, sequential, lock) for smooth user control over nailing options and an easy-loading transparent canister with nail size adjustment. User can conveniently use ‘tool-less’ numbered depth adjustment with 9 depth settings for precise flush nailing, and sharp spurs that grip the wood for increased control at an angle. 360 degree Multi-directional exhaust port directs exhaust air away from operator and smart built-in air filtering system keeps the tool clean and rubber bumper protect both work surface and tool housing. High end AN611 Coil Siding Nailer is bit pricy. But with three year limited warranty and packaging that include Pneumatic Nailer Oil, Hex Wrench, Tool Case, Safety Goggles and Air Fitting and superior build from Makita is worthy enough to be considered as best siding nailer in the market. AN611 received very positive customer reviews for its well-balanced construction and features that perfectly match user need. Makita AN611 is definitely a right choice for professional contractors but DIYer and home may find it expensive. Freeman PCN65 magnesium body, anodized aluminum housing, useful features and seven year warranty with low price tag will be a great selection for DIYer and home user. Find more details on Freeman PCN65 Coil Siding Nailer and siding nailer comparison in Top Siding Nailer (link to top nail gun). Check the price and customer review here. Designed to withstand wear and tear from frequent use by professionals that combine rugged construction with durable aluminum with user friendly feature for improved performance. The AN611’s easy-loading canister with nail size adjustment has 300-400 magazine capacity. 3-mode selector switch ensure user control and convenience. Tool-free depth adjustment with 9 depth settings, built-in air filter and sharp spurs grip the work surface at an angle for increased control. I guess you can understand what Flooring nailer do from its name. Yes Flooring nailers are used for hardwood floor installation. Sometime contractors refer Flooring nailer as flooring cleat nailer. “Need to replace your old floor with hardwood floor that match your home remodeling?” install your new hardwood floor using either a manual floor nailer or pneumatic floor nailer. Depending on your choice, please keep in mind a pneumatic floor nailer generally cost a little more than the manual one, but if you consider ease of use and time saving than a pneumatic floor nailers is your best choice. Manual floor nailer require considerable physical strength for fastening your hardwood floor. Pneumatic floor nailer use air pressure to do the job. Now a days flooring nailers are mostly pneumatic as it generate ample amount of force for nailing and require less time. You will also need to be sure about using a flooring nailer or a flooring staple. Many first time buyer make mistake in differentiating floor nailer and stapler. Both may have similar functionality but fundamentally different. Buying flooring nailer present unique challenge for first time nail gun buyer as there are flooring nailers and flooring staplers for installing hardwood floor, so which one should you buy? What if you can drive both cleats and steples with the same flooring nailer. Freeman PFL618BR can drive three types of fasteners without changing magazine T-cleats, L-cleats and staples. Ideal for ½ inch – ¾ inch solid Tongue and Groove Flooring including Hickory, Maple, Oak and other hardwood flooring. PFL618BR magazine can hold 100 T-cleats or L-cleats or 120 crown staples. It can drive all brand 16-Guage glue collated flooring T & L cleats ranging from 1-1/2 inches to 2 inches and 15.5-Guage ½ inch crown, glue collated flooring staples. 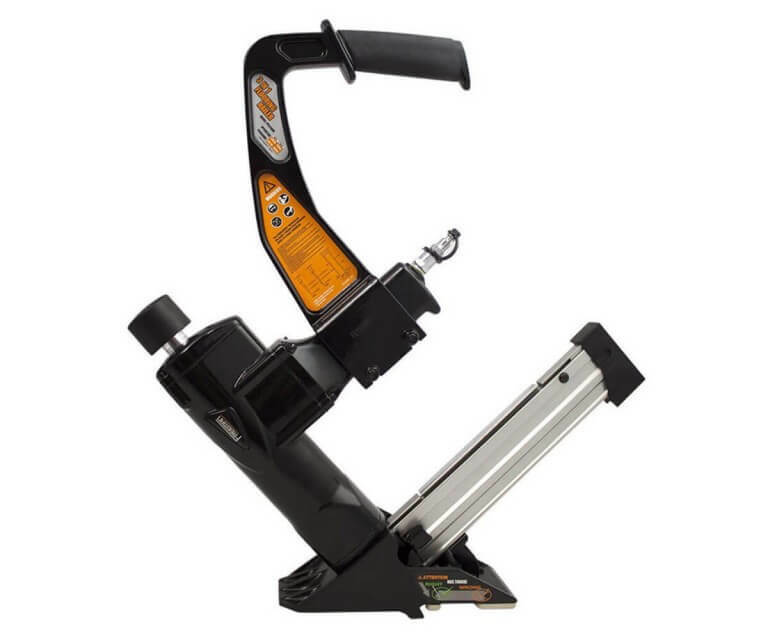 This 3-in-1 flooring nailer/stapler run on 70 – 115 psi operating pressure. Revolutionary 3 in 1 Design PFL618BR body is constructed of durable high-strength die-cast aluminum and heat treated steel parts for frequently using at job site with dependability and anodized aluminum magazine for lightweight. Inside the nailer drive blade is constructed of a tough one-piece hardened steel, high quality rubber o-rings and internal air filter. It comes with a non-marring rubber mallet and two interchangeable composite non-marring base plates that allows installation of 1/2- to 3/4-inch Tongue and Grove flooring with added stability and protection from scratch to the flooring surface. 23” tall extended handle with anti-vibration comfort grip help user to conveniently install flooring without the fear of an achy back after work. Additionally, the PFL618BR features an anti-dust cap to keep internal parts clean for increased longevity and a pre-installed fittings with ¼” NPT fits with most air hose couplers. Freeman PFL618BR package includes a durable plastic carrying case, oil, wrenches, goggles, and a no-mar white rubber mallet. It is also backed by 7-year limited warranty from Freeman. This model received an overall good reception from professional and DIYer for design and application. Like all other Freeman power tool PFL618BR flooring nail gun combines affordable pricing with high quality products for the ultimate value in a tool. Freeman included all necessary feature associated with an ideal nail gun build and application that woodworker and home owner are looking for. NuMax SFL618 3-in-1 Pneumatic Flooring mailer’s ability to shoots 15.5-Guage flooring staples and 16-Guage T- and L-cleats is a great choice for professional and homeowners alike. NuMax designed this nailer to penetrate 1/2″ – 3/4″ solid tongue and groove hardwood flooring with two interchangeable non-marring base plates for convenience and easy operation. The SFL618 built from durable die-cast aluminum with comfortable rubber grip design to reduce user fatigue and long reach handle reduces back strain. Like all other NuMax nailer it includes Air Filter, Anti-Dust Cap, longer magazine for additional nail capacity and inside the box you will get wooden no-mar rubber mallet, air connector, Adjustment tool, lubrication oil, Anti-dust cap, 0.315 foot plate. It also comes with one year limited warranty. It is an all-round flooring nailer from NuMax that combines affordable pricing with high quality products for the ultimate value in a tool. Visit to know price and product details. Versatile flooring nailer 3-in-1 design that shoots both 16-Gauge T cleats and L cleats and 15.5-Gauge staples. 2 interchangeable base plates provide stability and protect flooring surfaces from scratches. Durable die-cast aluminum build for frequent use, hardened steel driver blade, aluminum cylinder and high-quality rubber O-rings. Wrenches, oil, a rubber mallet, and a plastic carrying case included. Palm nailer also called mini palm nailer is a handy nail gun used for specialized task that other nail gun cannot perform. As the name suggest Palm nailer literally fit in your palm. Depending on lighter and heavy-duty models it can drive 1.5 inches to 3.5 inches and 2 inches to 6 inches nail respectively. Designed to fit into tight spaces, Palm nailer work perfectly where a conventional nailer or hammer fails to reach. While Palm nailer can drive frame nails, joist hanger nails or other bulk nails of similar size, it’s altogether a different kind of nail gun. Unlike other air powered nail gun that feed collated gun nail commonly known as strip nail and coil nails, Palm nail feed single nail at a time. So you may wondering, “What is the purpose of Palm nailer?” large and heavy-duty collated nailers are perfect tool for continuous nailing in quick stokes. Palm nailers will come handy where other nailer size often make them too bulky to fit in tight and hard to access spaces. Labeling a palm nailer model as best or recommended is a tough task as this specialized nailer category drive various type nail ranging from high strength framing nail to finish nail. However we could manage to recommend you PORTER-CABLE PN650 Palm Nailer Kit as best palm nailer. Drive into details to find out why. Porter-Cable emphasis on versatility while designing the PN650 palm nailer is evident from gun build, associated feature and packaging. This heavy duty pneumatic nailer design ensure user comfort and nail gun kit includes four different nose tips or nail guide for numerous application. Powerful PN650 can drive fastener ranging from 1-1/4 to 6-1/2 inch (3d to 70d) with preinstalled with magnetic nail guide that drive 6d to 16d common flat head nails and other guide included are finish nail guide for 1-1/4″(3d) to 2-1/2″(8d) finish nails with non-marring finish up to 3d, standard guide and bushing for 4″ (20d) to 6-1/2″ (70d) common nails/spikes and hammer tip capable of driving task not suitable for other three tips such as moldings, dowels, automotive body work. Unlike other palm nailer model PN650 operates at 50-120 psi and feature a multi-blow firing mode–2,300 BPM at 100 psi and depth-of-drive adjustment for sinking nail correctly. 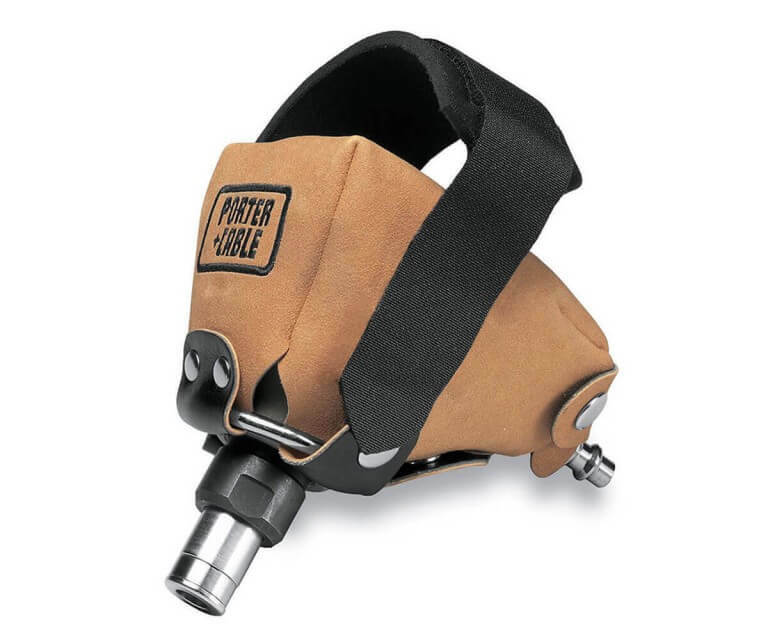 Easy to use PORTER-CABLE PN650 comes with palm nailer kit that is manufactured in United States. Kit includes four type of tip magnetic tip, non-marring finish tip, wide nail tip, hammer Head Tip, 1/4″ air fitting with dust cover, oil, wrench, carrying case., glove with padded Velcro strap for comfort grip and one-year limited warranty. Freeman PMPN is a light weight but powerful hammer that can drivine fastener for decking, fencing, joist hanger and hard to reach places. PMPN weight just 1.38 lbs has ergonomically designed body with durable construction for a long-lasting reliable tool. Freeman include rubber grip, Air filter/anti-dust cap keeps interior components debris free, extending tool life and magnetic nail holder accept nail from 6d – 20d and drive up to 4-inch nails. This pneumatic nailer works at 80 – 100 psi operating pressure. Freeman PMPN Mini-palm nailer is the best palm nailer that is economical and backed by seven-year limited warranty. Check latest price here. The Porter-Cable PN650 Palm nailer features a compact, lightweight design for impressive control and balance. Accept 1-1/4 to 6-1/2 inch nails (3d to 70d), and it comes with four different nose tips, including finishing tip, magnetic tip, wide nail tip, and steel hammer tip. Depth-of-drive control, front exhaust and non-marring finish tip make PN650 your best choice for palm nailing job. High versatility to support wide range fastener sizes and suitable for large and small project. Perfect tool for people with wrist or arm injuries that find it painful to swing a hammer. Next big question in your endeavor to find right nail gun is “What kind of power source required to run your Nail Gun?”. As you realize that you have three different options of power sources for you nail guns: fuel, battery-powered, and pneumatic. It offers a process of elimination to identify nail guns that best fit in your project situation. Mobility of your nail gun will largely depend on power source it require. You will get all essentials for nail gun power sources here. Fuel cell or gas powered nailer are newest addition to cordless nailer family. In fact Cordless nailers are either gas powered or battery powered. Gas powered nailer use a fuel canister containing propane, butane and propylene or a disposable gas cartridge and a battery to create spark for the fuel. This cordless nailers generate incredible force with internal combustion achieved by sparking fuel that drive the piston to push the nail into the surface. Gas powered nailers are suitable for heavy-duty job that require incredible force. Need mobility, then choose fuel powered cordless nailer. They are light weight in comparison to pneumatic gun make them good choice for whole day job. Make sure you have extra fuel canister and fully charged battery for uninterrupted nailing. As more DIYer and professional contractor are adopting cordless nailer, power tool industry leaders have invested heavily in constant development of built-in power sources. Remarkable development of Li-Ion (Lithium Ion) batteries enabled tool manufacturers to deliver battery powered cordless nailer of various categories. 18-volt or 20-volt Li-Ion battery powered nail gun now have enough power and longer charge make them a viable alternative for durability and ruggedness of a pneumatic tool. Eliminate noise generated by power tool as they are quieter than gas and pneumatic nailers. Convenient for any environment. Carry only charger, forget about any other equipment like hoses, compressor or fuel cell. Offer better mobility than pneumatic nailer as you do not need long hose line and bulky compressor. Best suit for small spaces where you cannot use bulky pneumatic nailer with compressor. Run on low maintenance as fewer moving parts. Rapid development in Li-Ion battery ensure longer charge and more power. Battery powered will be heavier and costlier than pneumatic one. 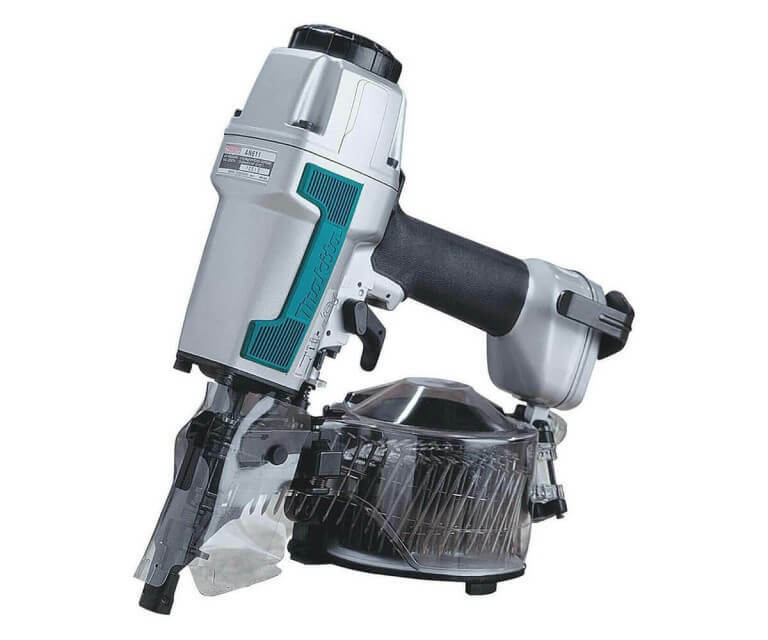 Pneumatic or air-powered nailers mostly used by professional contractor are the power horse of power tool industry. Nailing power of pneumatic nail gun comes from air compressor that send compressed air to the holding area of pneumatic nailer by attached hose. When Compressed air pressure in holding area is greater than piston chamber, create sufficient force to drive the piston down and push the nail in work surface. Major indicator of air pressure is PSI (pound per square inch) and volume CFM (cubic feet per minute). Pneumatic nail gun are best fit for large project with heavy nailing requirement. May not be a good choice for DIYer and small project. Air powered nail guns work very well at driving thick nails through hard material. With reliable power source you can work for all day. Air powered nailer will last longer for simpler design and fewer number of breakable and wear out able components. They are less expensive but you need to buy air compressor separately. Pneumatic nailer are loud, create high noise where it operate. Earplug are advisable to prevent hearing loss and noise reduction. They are somewhat cumbersome tools. As you need to carry air compressor where you are nailing and offer less mobility as air hose need to be connected with air compressor all the time for nailing power. Pneumatic nailer have simpler design. However you need to look out for leaking hose, couplers are solid and compressor running smoothly. Also you need to keep oiling your nailer and check compressor oil level on regular basis. You are almost ready to buy your first nail gun, as you are familiarized with various nail gun and their application in different woodworking and home improvement project thanks to Best/ Ultimate Nail Gun Reviews: Complete Buying Guides. It’s time to pick on firing method for your nailer. Understanding nailer firing method not only important for choosing right nail gun for your project but also for safety concern. Every year lot of people rush to emergency rooms with nail gun injuries. Good news is rapid R&D in power tool industry helped nail gun to be safer than before. Nail gun firing mechanism involve two basic controls: a trigger and a safety contact tip that depressed against working surface. There are four firing method now in use based on variations of how trigger and contact tip function in firing sequence. Contact actuation (commonly referred to as bump fire or bounce fire) enable rapid nail driving into working surface. Contact trip trigger design permit tool operator fire nail when the trigger squeezed and safety contact tip at the nose of the gun depressed with work surface. Contact trigger design allow the trigger and contact tip activated in any order. Contact trigger safety mechanism ensure that accidently activating trigger will not fire any nail when safety contact tip is not in contact to work surface. They are best for high speed firing but difficult to control. Full sequential actuation fire nail when the trigger and safety contact tip activated in a specific order. It will only fire single nail when safety contact tip pushed into working surface first then squeezing trigger make them safest type of nail gun. To fire another nail you need to reactivate safety contact tip and the trigger and repeat firing sequence. Full sequential nailer do not offer quick nailing like Contact trigger but less likely to fire unintentionally. Single sequential trigger drive nail when safety contact tip and trigger activated in specific order like full sequential trigger. Operator need to push safety contact tip into work piece then press trigger to drive first nail. To fire another nail user just need to release the trigger and safety contact tip can remain pressed to work surface where as full sequential trigger require releasing both control. Power tool safety research indicate sequential triggers can reduce risk of acute injury by half linked to contact trigger. Single actuation rather unique trigger mechanism that derived from separate selection of two or more of the following actuation system. It’s a combination of trigger style that works when basic controls, the trigger and safety contact tip activated in any order to fire first nail. For additional nailing user only need to release and reactivate trigger and keep the safety contact tip pressed to the working surface. Firing mechanisms employed by tool manufacturer for actuation system is unique to each tool and manufacturer. Please carefully read User Manual to understand your tool trigger mechanism before applying to your project. You will be amazed to see market is full of nail guns with tons of feature and applications, “so how to choose what is best for you?” Luckily all best nail gun share some common features that make them apart from other nail gun. So you now know type of nail gun required for your project, try to match following feature of nail gun to get most suitable nail gun for you. Even with well-designed nail gun you may experience jamming at any point of your project. It may happen due to fastener or loading mechanism, whatever the case look for simple jam clearing option to disassemble feeding mechanism to remove faulty nail and clear jam in shortest possible time. Depending on work surface you may need to nail at different depth to achieve either high strength or quality finish. With depth adjustment feature you can control how deep a nail goes into working surface. Based on model you can adjust depth by hand commonly known as “tool-free depth-drive adjustment” while some model require tools for depth setting. You will find depth adjustment feature are very handy with project that need variable nailing depth. Most professional carpenters probably own a range of pneumatic nail gun for doing all sort of nailing project, so nail size adjustment may not be crucial to them. But a homeowners and DIYer probably look for a single nail gun that support multiple gauge nails. Search for nailer that can hold different nail sizes and easy switching between nail sizes. While running a nail gun you will find large trigger are easy to operate and play a crucial role in work safety and ergonomics. Trigger size also influences maneuverability of nailer when user wearing heavy-duty protective gloves. Large trigger can accommodate gloved fingers to comfortably hold and smoothly fire nail at any direction. Directional exhaust help you to guide tool’s exhaust away from you while working in dusty environment. Like depth drive adjustment feature directional exhaust can be adjusted by hand or may require special tool. Well designed nail gun available in market now feature a protective guards to prevent tool damage and protect user from flying debris. Look for model with easy replace option as guards will wear out over time. A pneumatic nail gun feature that prevent air hose getting twisted while moving around project area. Giving you more flexibility and mobility with corded nail gun. Having carrying case for your nail gun not only make travelling easy but also ensure nail gun durability and keep it clean. Also help you to keep manual and nail gun accessories in one place for better tool management. Look for brand that offer good quality cases. Nail guns are a leading source of occupational related injuries for residential and professional carpenters. CDC assessment indicate nail gun related accident cause 37000 emergency visits each year (https://www.cdc.gov/niosh/topics/nailgun/). Puncture wounds are the most common type of injury, while more serious injuries may cause death. Double firing with CONTACT triggers resulting unintended nail discharge. Unintended nail discharge from CONTACT and SINGLE ACTUATION triggers by knocking the safety contact while the trigger squeezed. Nail penetration through lumber work piece due to wrong nail size or thin work surface. Nail bounce back (ricochet) at any direction as fired nail unable to penetrate hard surface or metal feature. Firing nail from awkward position. How to Prevent Nail Gun Injuries? Reviewing safety report and guideline from different government agencies like CDC, NIOSH and OSHA and power tool industry association like International Staple, Nail and Tool Association (ISANTA) helped us to understand nail gun safety best practices. We selected a broad spectrum of safety tips for owners and users to follow when using power nailers and staplers. Next time you use a nailer or stapler please take following measures to prevent nail gun injuries. Understanding you nail gun is the single most important step to prevent nail gun injury. Get proper information on how trigger mechanism of your nailer work. You may wrongly identify a contact trigger as a sequential trigger. Read tool operating and safety manual before using. Never forget to wear the proper protective equipment—including eye protection—when you are using the nail gun. Safety goggles and any other safety equipment can have a positive effect on you. If you are a contractor make sure you have strict safety guideline for your worker and strongly monitor those guideline. 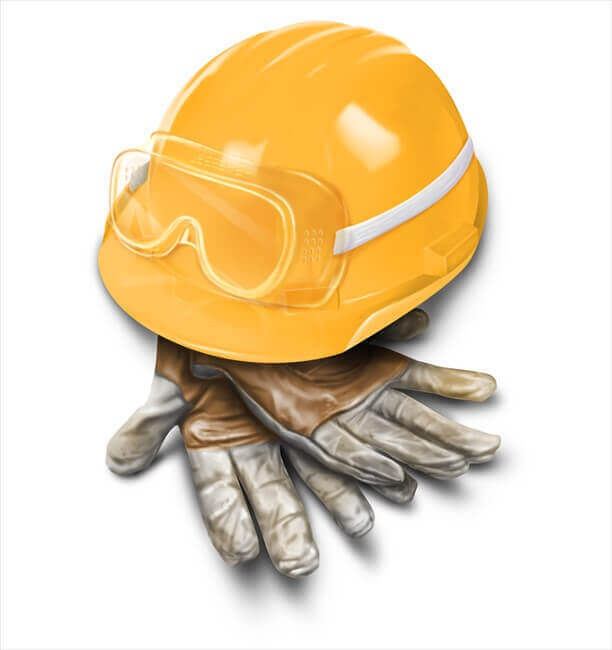 When you are working alone, check for recommended safety gear for your specific project. Nail guns are powerful tool that generate enough force to drive nail in various wood and metal surfaces and other surfaces that cannot be penetrated at all. If your nailer is not compatible with surface it can either penetrate through thin work surface or deflect from hard surface and become a projectile that can go at any direction injuring yourself or your coworker. Before starting nailing carefully examine work surface properties. While working in tight places and awkward positon make sure you can hold nail gun comfortably and working surface is within reach. Many nail gun injury occur as operator fire nail from uncomfortable position and nailer recoil effect move them from their position or they lose grip and nail discharged unintentionally. Most safety guideline recommend using Sequential-trip triggers as studies show it can cut injury rates in half in terms of contact trigger without affecting productivity. Contact trip trigger tend to fire accidently if the nailer recoil or user bump against a surface. Professional carpenter may have no problem to run contact trip trigger for quicker and convenient nailing without any incident. for DIYer and home owner a sequential trip trigger will the best choice. You can prevent a nail gun injury without even knowing anything about a nail gun, by applying common sense safety measure that are obvious to anyone using a machine like a power tool. So just in case you forgot how to prevent yourself from nail injuries, apply following safety measure to prevent nail gun injuries. Always follow tool manufacturer’s operating and safety instruction manual. Always use compatible nails in the gun. Always keep your other hand and fingers away from nail’s path. Use clamp if you feel necessary. Never carry a nail gun with your finger on the trigger. Always keep your hands away from trigger when you are not using your nailer. Do not modify nail gun safety feature or bypass it at any circumstances such as tying or wiring the nose contact in the activated position. Only point the nail gun to intended work surface. Do not point the gun at another person or yourself. Disconnect nail gun from power source i.e. fuel cell, battery and air hose before doing any sort of maintenance like oiling, clearing jam or reloading. Do not overreach when using the tool. Only fire nail when you firmly holding in your hand. Do not engage untrained people to operate nail gun. Nail gun is not a toy, keep it away from children. Do you feel confident? We believe our nail gun guide with best nail gun review, product listing and specifications will give you a proper understanding of nail gun. You are now ready to start browsing and find best nail gun for you.